Mini crossword puzzles that can be solved in less than 5 minutes each! 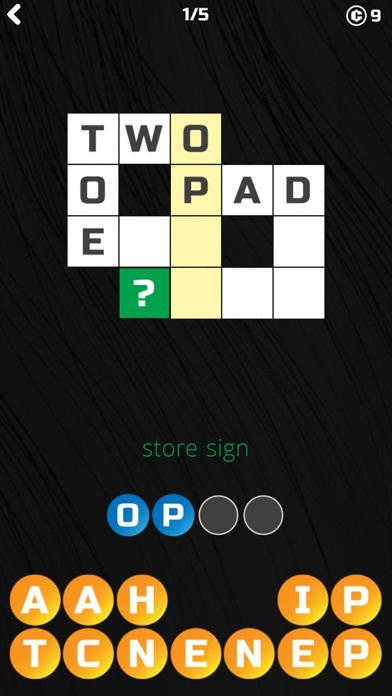 This crossword puzzle game contains a large set of bite-size puzzles that can be solved in less than 5 minutes each! The puzzles of various difficulty are available in three languages. No need to buy a newspaper! Can you find them all? 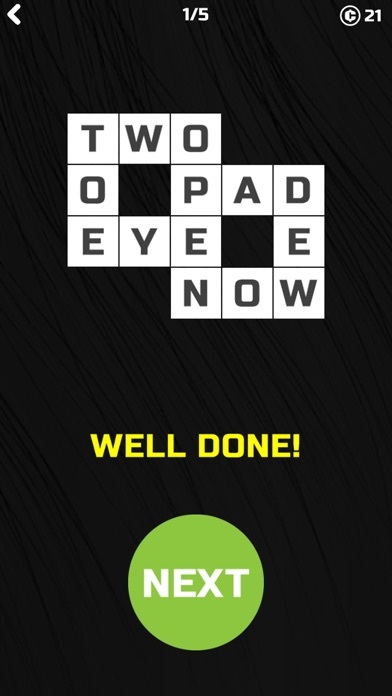 Features: • no need to scroll to see the entire puzzle • no need to zoom in to read it • no need to spend too much time on each puzzle • you can skip crosswords you cannot solve • words are checked as you type • available in English, French and Russian Coming from the developers of popular word game 5 Little Clues 1 Word, 5-Minute Crosswords are created for players who like classic word games, but don't have much time to play. 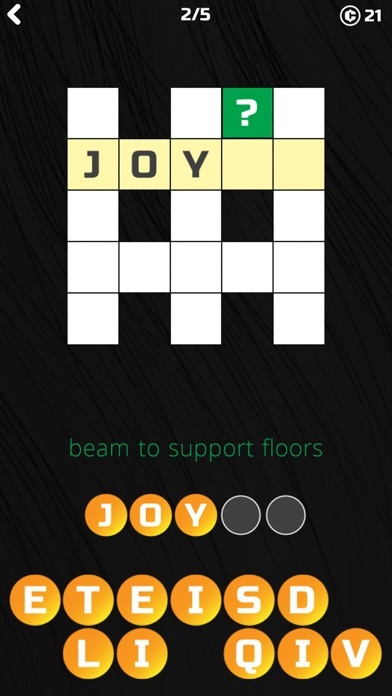 Whether you are a beginner or an expert, you will find a crossword to have fun with! The game works well on phones and tablets of any size. Start playing! Does not play like a legitimate crossword. The problems do not afford a full enough puzzle to build words you may be stumped by. A crossword should help itself fill in. But as we all know, app developers need to make a living somehow. 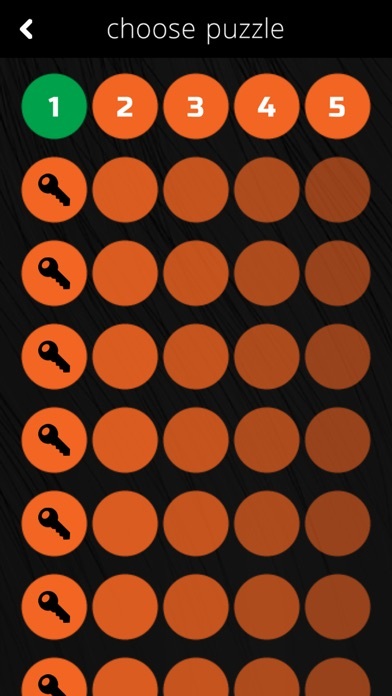 Why not design a game where you pay money for clues? 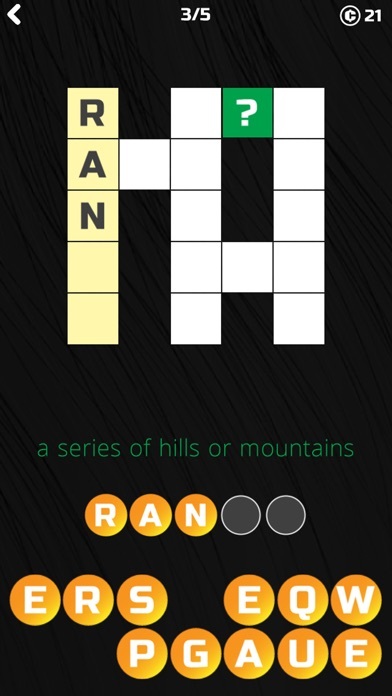 If you like crossword puzzles but don’t have much time, look no further. This is the game for you! Simple word game with clever clues. This game is both fun and challenging! Gets the brain working. I've only completed the first five levels, but it seems to be a good game. I wasn't able to buy any hints because I didn't have any money.